Triphasic is a fairly simple polyphasic sleep schedule to acclimate to. The most important thing to do when setting up a triphasic sleep schedule is to make sure that the 3 naps are at times of the day that line up with your circadian rhythm. This means that one nap should be taken an hour or two after dusk, when the hormone melatonin is reaching high levels, one nap should be taken 30 minutes to an hour before dawn, and have you waking up after the sun rises, so your body is natural aroused by the morning daylight, and a third nap should be taken sometime between the hours of 1 pm and 4 pm, where your alertness naturally drops, allowing you to sleep. Leif Weaver’s triphasic schedule is one example of such a schedule which matches the Circadian rhythm. The exact times you sleep will depend on where you live and the times of dusk and dawn, and also potentially social reasons. Even so, Weaver’s schedule still remains a good standard. Lengths of time between naps do not have to be equidistant, but it is important to note that waking times of greater than 8 hours or less than 4 hours between 90 minute naps are not recommended and most likely will jeopardize your chances of adapting. Since people’s sleep cycles tend to be deeper during the night and lighter in the afternoon, both the morning and night naps will stay fairly consistent with the 90 minute sleep cycle, while the lighter afternoon nap may result in a shorter sleep cycle, and therefore a shorter nap during the afternoon. Note if this happens to you and you wake up well before your afternoon alarm that this is completely normal, and nothing to worry about. 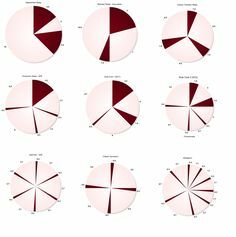 In order to begin adaptation to triphasic, it is best to either come from a monophasic, biphasic or segmented schedule. It is possible to begin from any schedule, but is more difficult to have to learn how to get quality sleep for 2 or 3 naps a day, instead of just one. 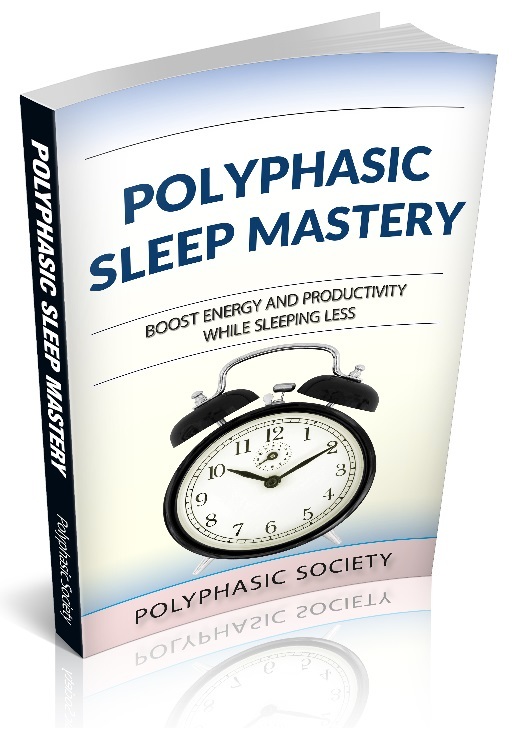 Coming from (long siesta) biphasic will give experience with 90 minute naps in the afternoon, and mean the only step is to split the core into two 90 minute naps to switch to triphasic sleep. Coming from Monophasic just involves waking up from a monophasic night and beginning to nap as per the chosen triphasic times. The first day of triphasic, the morning nap will most likely be difficult to wake from, as your body is used to sleeping for a longer core sleep than 1.5 hours. While with most schedules, the use of caffeine is not recommended, caffeine can be an important tool for adapting to triphasic as long as it is drank right after waking up. Caffeine has a half-life of about 6 hours, and so triphasic is one of the few schedules that are not detrimentally affected by coffee or tea. The first few days may be difficult, and you may not sleep during all of your naps. Once you start falling asleep for your evening and morning naps, it may still take a few days for REM cycles to line up with the 90 min sleep cycles. It took me personally 5 days to start waking up to dreams every nap. Up till this point it is difficult to wake up from naps, and low levels of alertness, especially during night and early morning hours are normal. By the time you start getting REM regularly in all naps you will probably have accumulated a large REM debt, and have to sleep an extra 90 min cycle to make up for lost sleep. Although this technically counts as oversleeping, in the end making up for your sleep debt will be more helpful than harmful to maintain your schedule and be at peak alertness levels. Once your REM cycles are aligned with your 90 minute sleep cycles, maintaining your schedule will be a much simpler undertaking. The afternoon ’90 minute’ sleep cycle tends to reduce to 60 or 70 minutes in the afternoons as a person is on triphasic for a longer period of time, and the night sleep cycle tends to grow larger (to fit in more SWS). As with most other schedules, the naps on triphasic are fairly rigid, and can only be shifted slightly on a daily basis without negative side effects. However, post-adaptation sleeps can potentially be shifted or traded for several shorter naps or longer core sleeps occasionally to accommodate schedule needs for social, or any number of other reasons. Pingback: I’m always looking for extra hours. This is how I found them. Very interesting article. I think i will try it for my learning period till the exams. Were you able to switch over to it easily and quickly? I’m starting this schedule today. I’ll post progress updates. ok I actually started Tues april 24. I decided to start with 3 x 2 hour naps being that i knew I would probably needed the extra 30min to start with. I just finished my 3rd sleep in. I started by skipping sleep until 4am from waking at 10am the day before. Between sleep 1-2 was brutal. I felt like I could sleep standing up but i managed to make it. Between sleep 2-3 I was surprised that I was already feeling better. Just waking from the 3rd sleep I already feel much better. I feel nearly fully adjusted already and I’ve only started yesterday. Hi, – I hope this question will be seen by someone. My afternoon nap naturally reduced itself to 70 minutes exactly, but I’m somewhat confused and clueless as to how my night sleep is supposed to grow larger when using an alarm. How much larger should it be? I’m a little confused as to how my night sleep is supposed to grow larger if I’m always using an alarm? How much larger is it supposed to grow? I’ve been on this schedule for about 2 weeks now, and I feel pretty good. My afternoon naps have adjusted to 50-70 minutes almost all days.